I started preparing in 1986 as a young man. I've taken it seriously my whole life. In 1992 I started JRH Enterprises first selling surplus gear and prep related books at gunshows around my home state. Within a few years we began advertising in the OLD American Survival Guide magazine, back when survivalist magazines were good and actually worth purchasing. In a very short period of time our sales grew and product line expanded. In all this we strived to never compromise- never compromise on your security and never compromise our ethics. 26 years later those remain the dominant characteristics of JRH Enterprises. The latter part of the 1990's saw us starting and running a mid size commercial cannery in St. Augustine, Florida. In a short period of time we profesionally packed the better part of a million lbs. of food for long term storage that we sold commercially. We closed the cannery in late 1999 and moved to live at our retreat full time. We've lived at our retreat full time for over 17 years now and have learned much. We heat our home with wood, solar power provides the electricity that the computer is using while I write this. We raise chickens, rabbits, goats and bees and have ample fruit trees and garden areas. 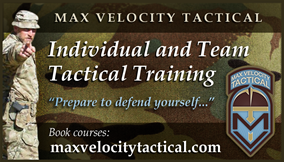 We truly practice what we preach by training regularly and you may run into me at any number of survival or tactical related classes as we are constantly striving to improve our skill sets. and I've produced a number of videos on youtube teaching various preparedness related skills. We host seminars and speak at various events in the Southeast, I've taught classes as diverse as beekeeping to combative pistol. In short, we have the TRUE EXPERIENCE you need to draw on for preparing your family as well as LONGEVITY in the survival industry (26 years) which assures you of quality customer service.